Today at 4pm, Vice District Brewing opens to the public for the first time. 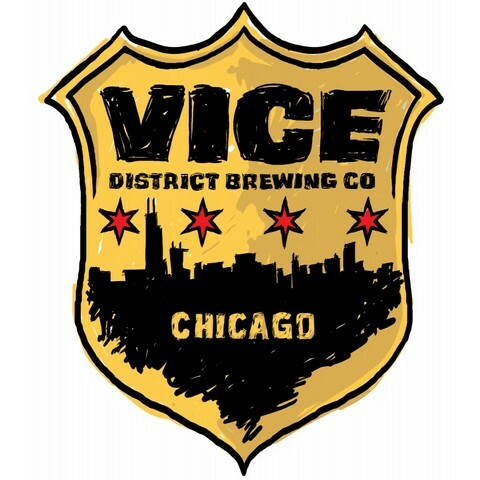 Located at 1454 S. Michigan Ave., just south of Roosevelt Road, the taproom's initial draft lineup will feature Vice District's black IPA, extra special bitter, IPA, blonde and molasses porter, as well as a collaboration with Finch's Brewing. Eventually there will be 14 beers on tap at all times. Like many involved in the craft beer renaissance in Chicago, Vice District cofounders Quintin Cole and Curtis Tarver II started out as home brewers. "The joys of experimenting and trying to make beers that we've tasted and styles that we like and try to recreate it, that's how the whole thing started," Cole said. "Curtis and I are neighbors -- we live literally across the street from one another -- and we've just been brewing all the time and filling our basements up with equipment. Our wives finally said, maybe you guys should just do this, and get it out of the house. So we started writing a business plan. "We knew we wanted to be in the South Loop -- we're both South Siders. We live just north of Hyde Park, and you know we have to travel way north to go to breweries and get great beer. And we figured we're probably in the same boat with a lot of people who live south." While production remains off-site for now to maximize use of the premium rent in the landmark building, the brewers hope to eventually bring everything under the same roof. "We're really excited to be a part of the South Loop. We know Broad Shoulders is opening up about 10 blocks just south of us, in the Motor Row area, so hopefully we can get people to start coming a little further south to enjoy some beer." The Vice District Brewing taproom is open until 1am tonight.